As seasons transition, bold colors are emerging from the pastel pallet of the summer. Plum, tangerine and deep brighter blues add a pop of color against the gray and blue suiting options trending in men's wedding attire. Some of our favorite color combos include burgundy and gray, burnt orange against a brighter blue suit, and plum with navy. Colors aren't the only style component growing bolder, grooms are stepping out of their bride's shadow with added style that distinguishes themselves from their groomsmen. It's about time!!! Grooms are choosing different suit colors, adding a vest, or going black tie in a tuxedo. 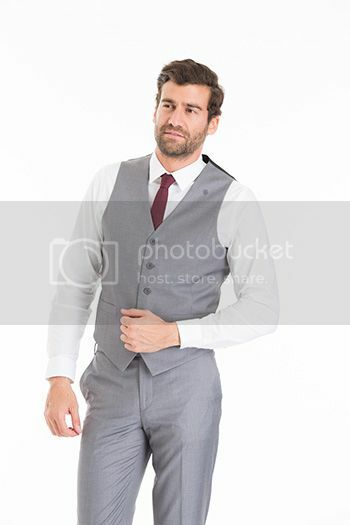 The Groomsman Suit has outfitted fall weddings with varying groom and groomsmen attire combos that include the groom in navy and black with the groomsmen in gray or the groom in a black tuxedo to stand out ever so slightly from the black suits his guys are wearing. If differing suit colors makes you a bit nervous, adding a vest to complete the three piece look is a really great option and will be that little extra touch that your makes groom stand out all night. Even when jackets come off and everyone is crowded on the dance floor! 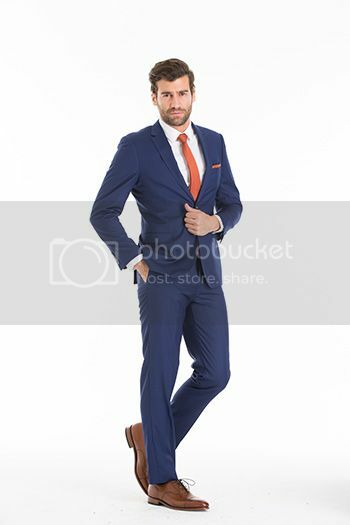 Slimmer fit suits are in and are here to stay. Thank goodness! 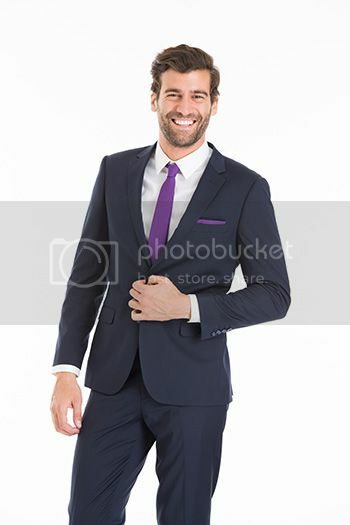 Honestly, in the right size, most men can wear a slimmer (not skinny) cut suit. Flat front pants are the only way to go. The traditional classic style cut is not classy and could tarnish the memories of your special day. Who wants to be in something boxy or baggy? Your photographer will thank you and you'll both love the way your guys look in a suit or tuxedo that is more fitted than not. Grooms are taking an increased interest in their style and, like the bride, want to stand out. Their attention to every detail from their ties to their socks and shoes ups the ante of retailers worldwide to ensure they have the selection of product they demand. At The Groomsman Suit, we love helping couples and their guys suit up in a way that reflects their personal style while being inclusive of all budgets. After all, high quality menswear that is affordable to all will never go out of style.